When planning activities for seniors, it is not always necessary to choose activities that do not require seniors to leave home or go on a vacation somewhere far. There are still a few number of people who think that being seniors is a perfect reason to live and follow a sedentary lifestyle. Seniors should engage in fun yet health beneficial activities, to slow down or even prevent deterioration physically and mentally associated with the normal process of aging. Seniors can still enjoy going on long trips to see the country or even camp far away from home. RV trips for seniors and other people from different age groups can be an affordable way to go on a long trip to do sightseeing, camping, etc. 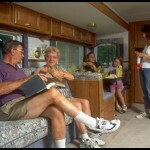 RV trips will not only allow seniors to travel with a little hint of adventure, RV trips can also be a great way for seniors to mingle and spend some quality time with other seniors or with the whole family. 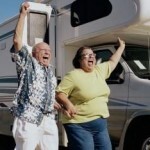 RV trips are not only fun, but it can also be very beneficial to seniors, since it can improve social relationships and it can even stimulate the brain to function, as seniors visit new places. 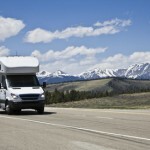 It is very important to carefully plan for any trips, not just RV trips. 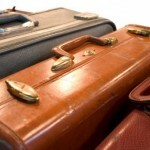 Planning correctly will make you ready for everything that will be needed during the trip. You will have to plan for food, clothes, stopovers, budget, route, gasoline, and the like. You will not need to plan everything before the trip, you can continue planning during the trip if you like spontaneity. It will be unnecessary for anyone to purchase expensive RV travel guides or even expensive travel maps. You can easily search up to date travel maps and RV travel guides online for free and then print it out. By doing so, you can save a lot of money. 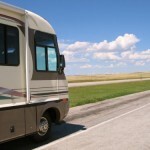 If you are only planning to park overnight or just to rest for several hours, there are several establishments, such as Wal-Mart stores, which allow RVs to park overnight without any fee. It will be a good idea to go to senior-friendly destinations. 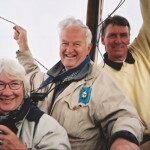 Senior-friendly destinations usually offer special discounts and promos to senior citizens. Going to senior-friendly destinations will also usually offer services that can help in making their senior citizen visitors relaxed and pampered. I am a 67, I would like to join some activities, for bird watching group.